Should Geoffrey Boycott be knighted? From: Andrew Callaway, Woodhall Park, Northowram. GEOFFREY Boycott was a great batsman (The Yorkshire Post, August 23). He has become extremely wealthy as a pundit and commentator by expressing moronic and frequently offensive views under cover of what he believes to be “plain speaking” or “Yorkshire humour”. 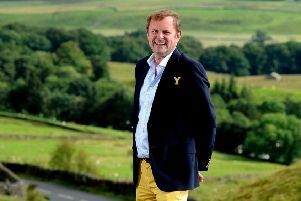 In so doing, he has become an embarrassment to Yorkshire people. His racist outburst against those West Indies cricketers who have been knighted is yet another example of his conceit. He could not complain if Sir Garfield Sobers, Sir Vivian Richards and Sir Andy Roberts et al gave him a wide berth in future. And why, exactly, does he feel he deserves a knighthood? SO Geoffrey Boycott thinks he deserves a knighthood because he raises money for charity? Further proof the honours system needs reforming in favour of community heroes rather than the egotistical.